Hey technical writers! 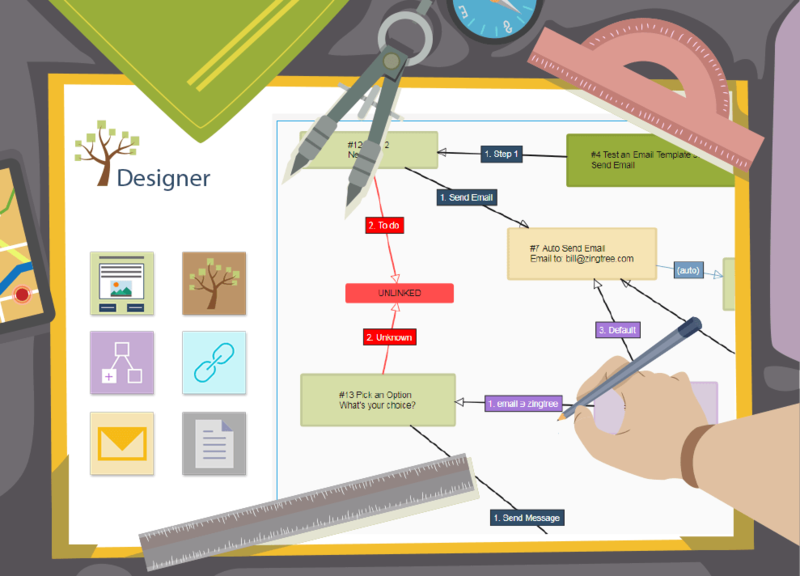 If you’ve ever struggled to make a linear document from something more akin to a flowchart, perhaps you need to get familiar with creating interactive decision trees as an alternative. 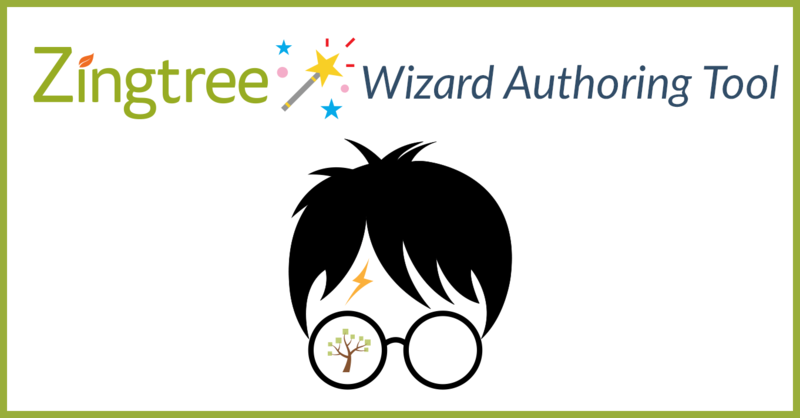 With no programming needed, Zingtree allows you to build custom interactive decision tree troubleshooters, tutorials, guides and other technical processes. The end-result is simple enough for end-users, yet robust enough to handle any project requirements. Here are just a few of the ways that interactive decision trees benefit you and your audience. Interactive decision trees are a friendly way to guide customers toward a solution by asking questions along the way – interview style. Once you figure out all the end-result pathways, a standardized and perfected troubleshooter allows all users moving forward to find answers quickly and painlessly. 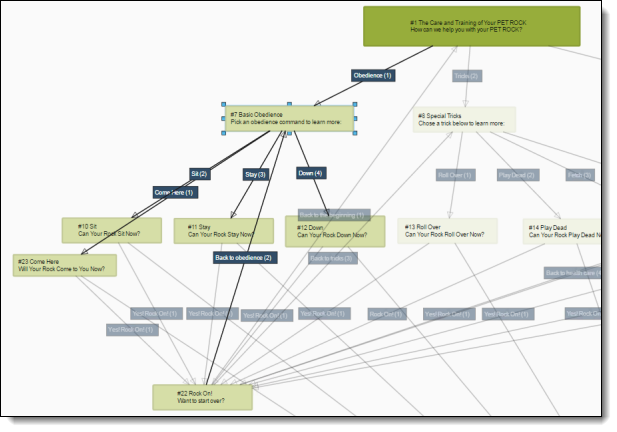 The Designer Tool allows you to construct an interactive decision tree within a “white board” style display shown below. After creating and ensuring all question and answer nodes – and their connections – are complete, publishing the troubleshooter will display like the example in this link. Scenario-based documentation is in high-demand for many companies and organizations looking to train new hires in a standard and efficient way. Zingtree is a prime resource for creating and implementing simulations for various scenarios that you may need to communicate in a technical writing assignment. Providing these kinds of interactive simulation tools to emulate different types of situations or end-results can prove to be incredibly important when leading trainees through complex learning environments. Click here for an interactive example of a training simulation to see how it’s done. Give readers the power of customized, interactive tutorials to better understand deeply-technical processes. With the simple question-and-answer-style flow of a decision tree, finding solutions and examining complicated workflows becomes much more manageable and easy to digest. You can add customizations and helpful visuals like GIFs, videos and still images to help display step-by-step tutorial information and lead users to a path of understanding. Want to build your own decision tree? Start with a free trial account today. Have questions? Reach out to us at any time!